Get yourself a dream job in property for Christmas. Everyone has bad days at work but, if those blue days are starting to stack up, it may be time to start looking for a new venture – whether that’s a new job or a new career in a different industry. But, in the run up to Christmas, it can seem like a lot of stress and hassle to start looking for a new job on top of everything else. 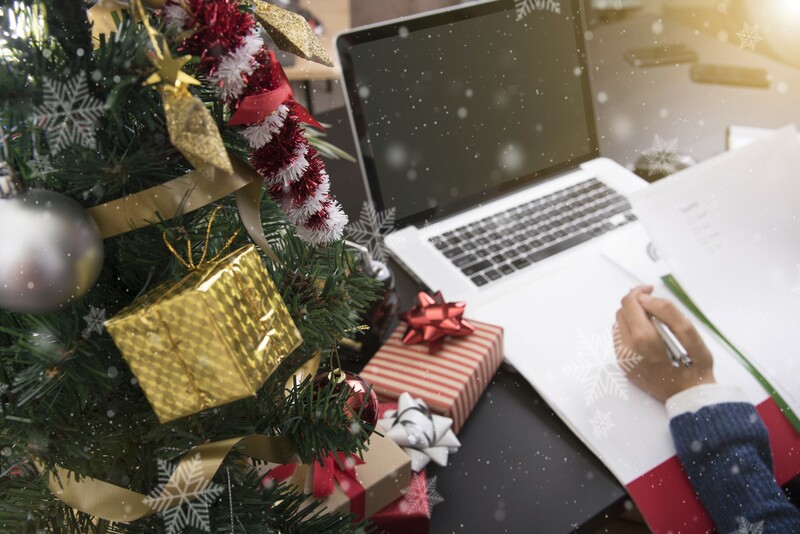 Many people might think searching for a new job after the festive period is the way to go, since the job boards will receive more listings, but we’re here to tell you that job hunting before Christmas may actually be a very good idea. Read on to find out how you could get your dream job in property, just in time for Christmas. As we mentioned above, many people looking for a new job wait until January because the job boards tend to fill up more at the beginning of the new year. However, it can be a benefit to your job search to start that bit earlier. Contrary to what seems to be popular belief, recruiters in the property industry won’t stop searching for the perfect candidate for their open job role just because Christmas is coming up, so why should that stop you looking? You can use the time before Christmas to get ahead in your search by researching, reaching out to potential employers and recruiters, making changes to your CV, and sending them out to apply for positions that are already available. Additionally, with less people applying for jobs at this time of year, you’ll most likely have less competition, meaning you have more of a chance to get through to the interview stage. While it may not be the end of the financial year for most companies, December is still a good time to research potential employers, since you can see whether they’re celebrating the end of a good year. Also, using December as a time to think about the companies you’re thinking of applying to, the position or industry you’d like to move into, and why you want to make the move, will show recruiters and companies that you’re committed and ready for a new challenge in your career. If you’re moving to a new sector, such as moving into the property industry, it’s a good idea to use this time to get yourself up to speed with what’s going on in the market and the industry. Online resources, such as Estate Agent Today , The Negotiator and Property Industry Eye, can really help you start getting your head around what’s going on in the property world. And, if your research pays off, why not take some time away from all that Christmas TV to prepare for all those interviews you’ll have in the new year? While it may be tempting to announce to the world that you’re looking for a new job on social media, in the hope of people in your network coming forward with offers, it’s a good idea to stay cautious about what you post online – unless you’re on a finite contract or you’re already out of employment. Instead, use social media to find out more about the companies you’re thinking of applying to, looking at movement in key sectors in the industry you’re looking in, any announcements of new appointments, job listings and growth plans for their businesses in 2019. Also, why not take this time to clean up your own social media channels – you don’t want recruiters to google your name and find a bunch of inappropriate posts. Read our blog on managing your online reputation for some top tips. During the rest of the year, it can be difficult come up with reasons why you need to be out of the office for interviews. However, in the run up to Christmas, most employees will use their annual leave to prepare for the big day, go Christmas shopping, look after their children when school is finished for the holidays, or simply to use it up before the new year. That way, taking annual leave for interviews will be far less noticeable than it could be during other times in the year and you can excuse your absence with Christmas related tasks and preparations. If you’re looking for a new job in the property sector, we at Property Personnel would be very happy to help you find your dream job as our Christmas present to you. Simply register with us today and we can start you on your journey to your new career for the new year!